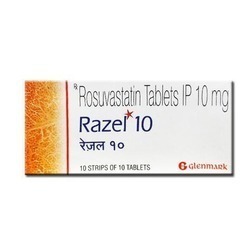 Prominent & Leading Exporter from Nagpur, we offer orlimac capsules, razel capsules rosuvastatin, anti obesity drugs capsules, lipocut capsules, slimming capsules and orlica capsules. 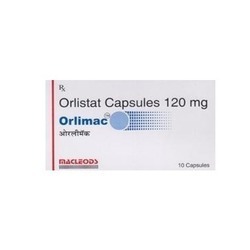 We are one of the leading exporter suppliers and drop shipper of Orlimac Capsules. 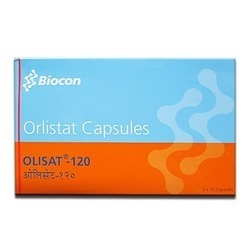 Orlistat usesOrlistat is used in obesity. It should be taken along with a low-calorie diet. How orlistat worksOrlistat is a lipase inhibitor. It works in the stomach and small intestine by blocking the absorption of fat from food by blocking enzymes responsible for the breakdown of fat. Common side effects of orlistatAbdominal pain, Fat in the stool, Bowel incontinence, Flatus with discharge, Oily spotting, Diarrhoea, Abdominal cramp, Flatulence, Soft stools. 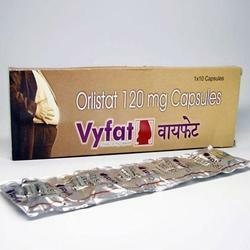 Usage/Application Vyfat 120 mg Capsule is a lipase inhibitor. Human and animal studies have shown significant adverse effects on the fetus. Please consult your doctor. Lactation safe vyfat 120 mg Capsule is safe to use during lactation. Human studies have shown that either the drug does not pass into the breastmilk in a significant amount or is not expected to cause toxicity to the baby. Driving SAFE Vyfat 120 mg Capsule does not usually affect your ability to drive. 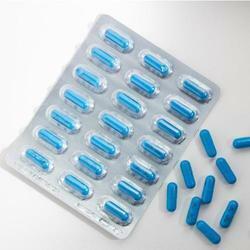 Kidney Vyfat 120 mg Capsule is probably safe to use in patients with kidney disease. Limited data available suggests that dose adjustment of Vyfat 120 mg Capsule may not be needed in these patients. Please consult your doctor. Use of this medicine may be associated with the formation of kidney stones in patients with underlying kidney disease. Liver Vyfat 120 mg Capsule is probably safe to use in patients with liver disease. Limited data available suggests that dose adjustment of Vyfat 120 mg Capsule may not be needed in these patients. Please consult your doctor. Lipocut 120 Capsule is used in obesity. It should be taken along with a low-calorie diet. Take this medicine in the dose and duration as advised by your doctor. Swallow it as a whole. Do not chew, crush or break it. Lipocut 120 Capsule may be taken with or without food, but it is better to take it at a fixed time. Avoid Lipocut 120 Capsule with high-fat meals such as olive oil, nuts & seeds (Brazil nuts), dark chocolate, butter, and meat. Lipocut 120 Capsule is a lipase inhibitor. It works in the stomach and small intestine by blocking the absorption of fat from food by blocking enzymes responsible for the breakdown of fat. 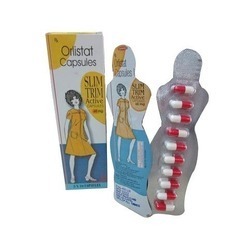 Orlica Capsule is used in obesity. It should be taken along with a low-calorie diet. Take this medicine in the dose and duration as advised by your doctor. Swallow it as a whole. Do not chew, crush or break it. 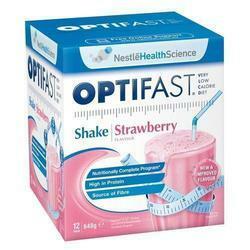 Orlica Capsule may be taken with or without food, but it is better to take it at a fixed time. Avoid Orlica Capsule with high-fat meals such as olive oil, nuts & seeds (Brazil nuts), dark chocolate, butter, and meat. 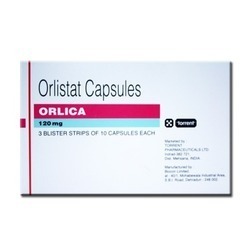 Orlica Capsule is a lipase inhibitor. It works in the stomach and small intestine by blocking the absorption of fat from food by blocking enzymes responsible for the breakdown of fat. Human and animal studies have shown significant adverse effects on the fetus. Please consult your doctor.LactationSAFEOrlica Capsule is safe to use during lactation. Human studies have shown that either the drug does not pass into the breastmilk in a significant amount or is not expected to cause toxicity to the baby. Use of this medicine may be associated with the formation of kidney stones in patients with underlying kidney disease. Literotica Capsule is probably safe to use in patients with liver disease. Limited data available suggests that dose adjustment of Orlica Capsule may not be needed in these patients. Please consult your doctor. 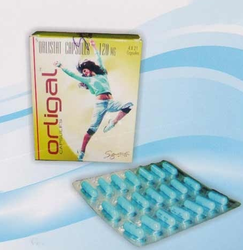 Backed by a diligent team of professionals, we have been able to process and supply an outstanding range of Orligal Capsules. 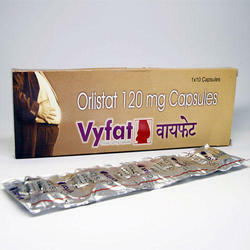 Vyfat 120 Mg Capsule Is Used In Obesity. It Should Be Taken Along With A Low-Calorie Diet. Take This Medicine In The Dose And Duration As Advised By Your Doctor. Swallow It As A Whole. Do Not Chew, Crush Or Break It. Vyfat 120 Mg Capsule May Be Taken With Or Without Food, But It Is Better To Take It At A Fixed Time. Avoid Vyfat 120 Mg Capsule With High-Fat Meals Such As Olive Oil, Nuts & Seeds (Brazil Nuts), Dark Chocolate, Butter, And Meat. 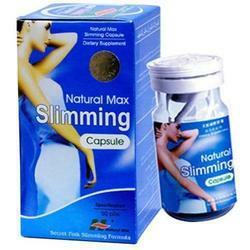 Uses Of Slim Trim Capsuleslim Trim Active 60 Mg Capsule Is Used In Obesity. It Should Be Taken Along With A Low-Calorie Diet. Take This Medicine In The Dose And Duration As Advised By Your Doctor. Swallow It As A Whole. Do Not Chew, Crush Or Break It. Slim Trim Active 60 Mg Capsule May Be Taken With Or Without Food, But It Is Better To Take It At A Fixed Time. Avoid Slim Trim Active 60 Mg Capsule With High-Fat Meals Such As Olive Oil, Nuts & Seeds (Brazil Nuts), Dark Chocolate, Butter And Meat. Slim Trim Active 60 Mg Capsule Is A Lipase Inhibitor. It Works In The Stomach And Small Intestine By Blocking The Absorption Of Fat From Food By Blocking Enzymes Responsible For The Breakdown Of Fat. Alcohol interaction With Alcohol Is Unknown. Please Consult Your Doctor. Pregnancycautionslim Trim Active 60 Mg Capsule Is Highly Unsafe To Use During Pregnancy.